With the opening of FDI in Retail, French Retailer Carrefour and German retailer Metro already present in Cash-n-Carry / Hypermarket format are strengthening their presence in Tier 2 / 3 Cities. 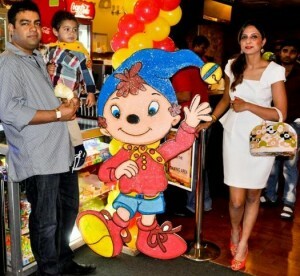 Carrefour announced the opening of its third store in Meerut while Metro is opening its 10th store in Amritsar. Bharti Wal-Mart’s Best Price Modern Wholesale is already present in both these cities thus offering consumers a big choice for shopping. With the Agra (store) to be opened some time next month, Carrefour would have covered a key catchment area in the cash-and-carry business in North India. Metro Cash and Carry already operates in Jalandhar and Ludhiana and its opening in Amritsar will complement its offering in the strong part of Northern India. One of the key reasons Retailers are flocking to Tier 2 / 3 Cities is because of the availability of commercial Rea Estate at relatively lesser cost compared to Metros / Tier 1 Cities, strategic connectivity to multiple markets across States and the presence of industries makes its a vibrant local economy where consumers would like to spend on quality goods. Thus tier-II and III cities are favoured destinations for the Retail and Logistics development in India today.